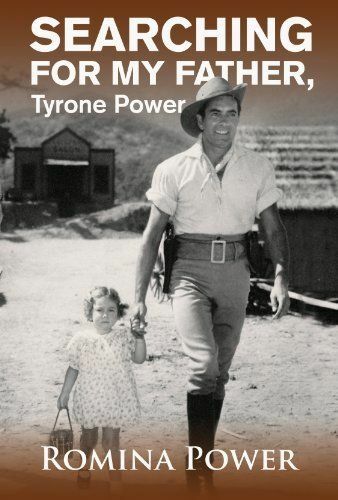 This is the book recently published by Romina Power, in which she explores the life of her father, Tyrone Power. This is the new theatrical film in which Romina Power plays a lead character, the movie will be out soon and you can check out the trailer. This is the mother of Romina Power, Lynda Christian. She spoke 7 languages, was popular in the 50’s and married Tyrone Power. She was known for her beauty, and got married in Rome and later had Romina Power followed by Taryn Power. Tyrone Power was one of the major movie stars of 20th century fox, and was one of the most handsome American movie stars with a huge following. When he passed away in 1958 it took the world by surprise. He attracted the attention of women around the world. He came from a big stage family; his grandfather and father were great actors on stage and helped sculpt Tyrone’s acting ability. 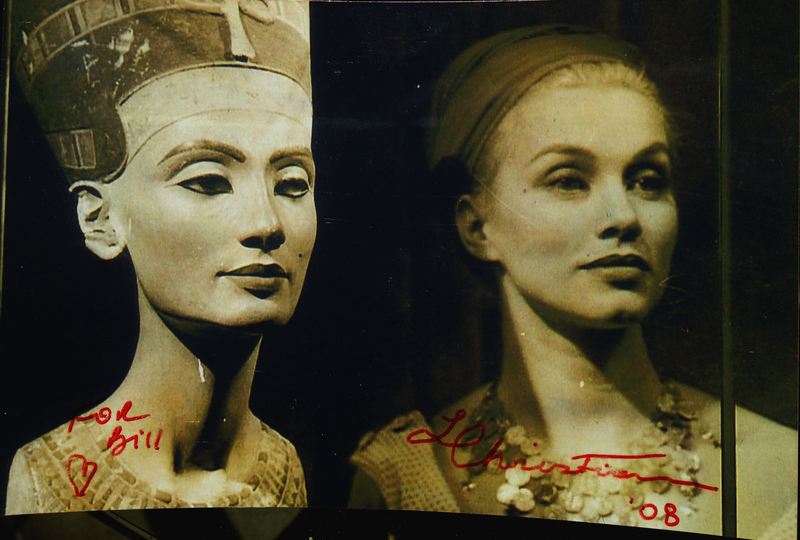 Lynda Christian next to the statue of Nefertiti in Egypt. When she saw Nefertiti, she felt the urge to take a photograph next to the queen’s statue. Nefertiti (ca. 1370 BC – ca. 1330 BC) was the Great Royal Wife of Akhenaten, an Egyptian Pharaoh. Nefertiti and her husband were known for a religious revolution, in which they worshiped one god only, Aten, or the sun disc. Akhenaten and Nefertiti were responsible for the creation of a whole new religion which changed the ways of religion within Egypt. With her husband, they reigned at what was arguably the wealthiest period of Ancient Egyptian history. Taryn Power, sister of Romina Power, was an actress during her early ears. 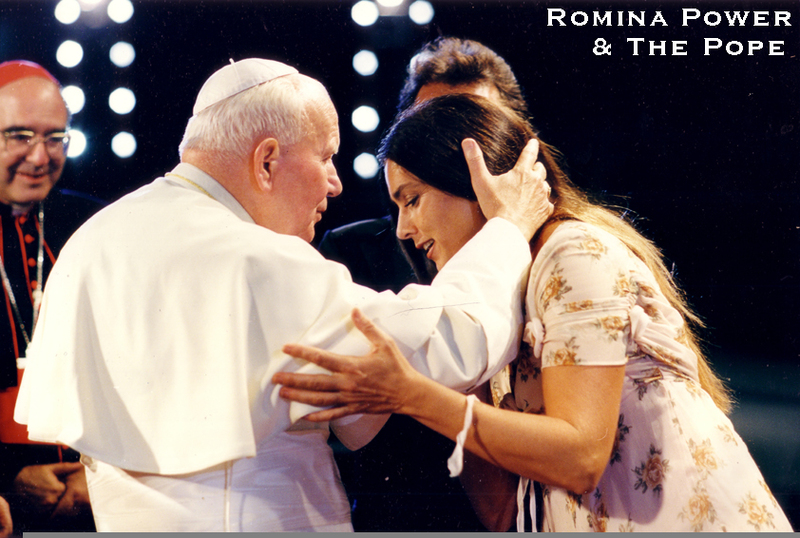 Traditionally, a person is to kiss the pope on his ring, however when Romina Power confronted the pope John the II, he kissed her on the forehead, she was surprised and it made her really happy. Romina sitting on her fathers stone at the cemetery in Hollywood were he is now buried. Judging by these two comments, you can see the sort of times we were living in. 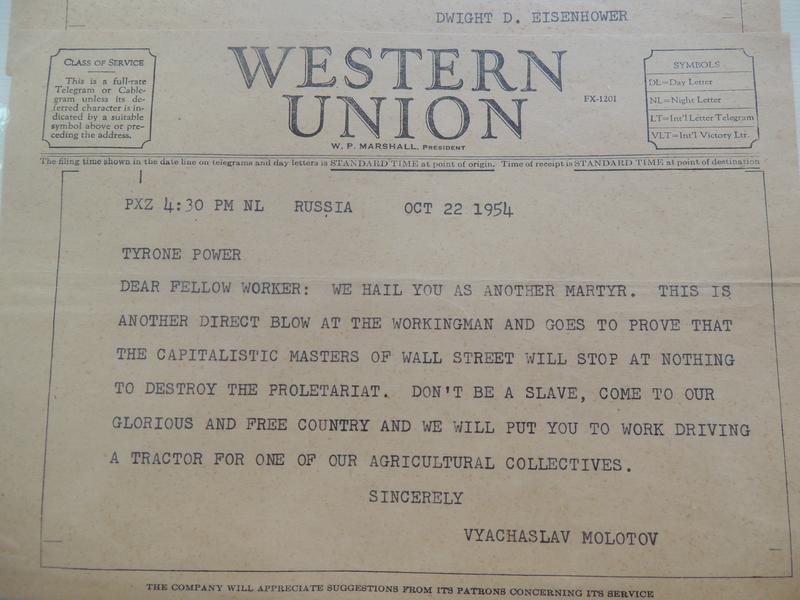 On the left side we have the president of the United States, and on the right side there is a brilliant example of the communism. Joe McCarthy was accusing everybody in Hollywood of being Communists, but lost it in the end because he was wrong, and eventually got thrown out. Tyronne Power was pretty upset about this because he felt double-crossed, never getting those $500,000. This was unfortunate because Tyronne was the one who brought in all the money. Romina Power has kept the Powers family line going and is now singing in America and Europe, recently having paired up with her ex-husband Al Bano. They have now been winning the hearts of the Americans. Check out some of her shows below. They will be playing together again next year. This entry was posted in Uncategorized and tagged Akhenaten, Ancient Egyptian history, Egypt, Eisenhower, film, Molotov, Movies, music, Nefertiti, Paraoh, Romina Power, Tyrone Power. Bookmark the permalink.